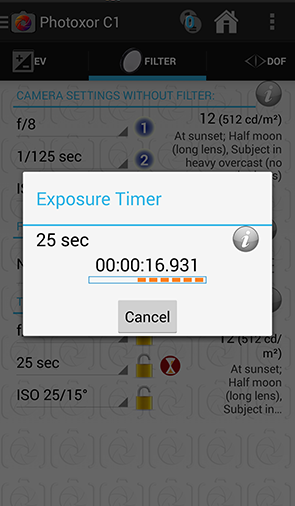 Photoxor C1 Version 1.4.6 is available now. Upgrade or download for free now from Google Play. Flash Screen: You are now able to modify the guide number (GN) value. Use this feature to fine-tune the GN value, or to do a quick calculation for a known GN. 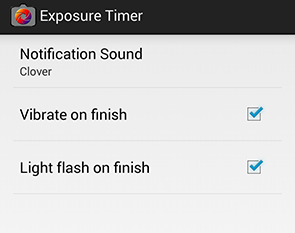 Filter Screen: For exposure times of at least 3 seconds a countdown timer is available now.